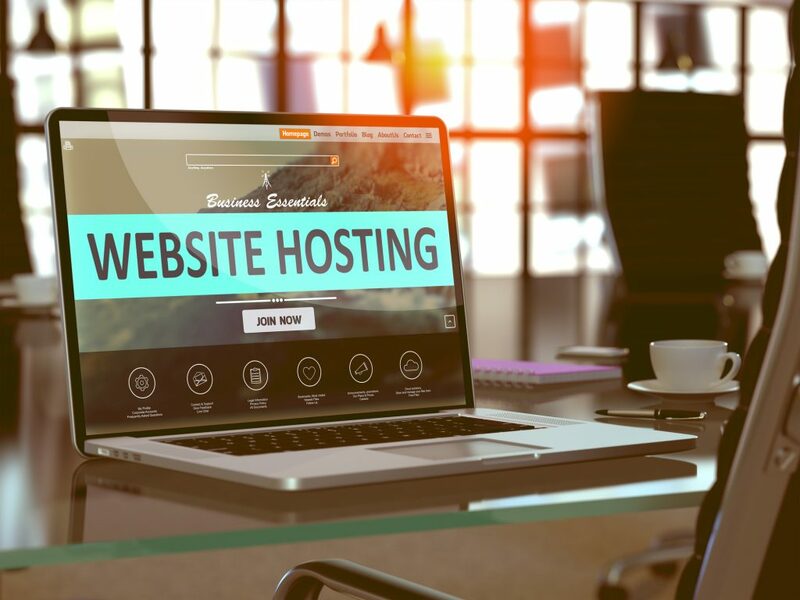 How to Use cPanel: 10 Tips For Complete Beginners | Host.ie - Linux Hosting packages for all your Irish web hosting needs. Whether you’re setting up a site for the first time or migrating to a new server, you’ll find that lots of small businesses use cPanel. It’s an all in one solution that can be useful for beginners and easy for intermediate users to get a lot out of. If you’re figuring out how to use cPanel for the first time, you’ll be in for a treat. Here are 10 things you need to know about cPanel when getting started. If you’re having trouble accessing your cPanel page, you’re not alone. Many beginners struggle to remember how to access it. If you can’t access your cPanel page, you won’t be able to do any of the work that you need to do. Start by getting the IP address of your site. If you’ve had your site up and running for a while, you might be able to use the domain name to start. However, no matter where the development of your domain is at, your IP address will always get where you need to go. This port number will get you to the exact connection you’re looking for. It shows that you’re not trying to hit the main URL of your site but connect to a specific component. Now you’ll be able to get to the place you need to be. While it might go without saying, having a strong username and password can’t be understated. If anyone can guess or steal your cPanel ID, they can get control of your entire site and do whatever they please with it. While most users out there aren’t all that bad, the ones who will be looking for your credentials will be. Change your password often, at least every six months or so. Make the day you go in for your biannual dental checkup the day you change your password. Choose a complicated set of characters using letters, numbers, and special characters. A jumbled together set of words or a made-up term is a perfect way to come up with one. Choosing a word out of the dictionary is a bad idea for choosing a password. The first thing that hackers will do is to set up a bot to go through the entire dictionary alphabetically. If there are some obvious terms that apply to you, avoid those. If you’re struggling, there’s a password generator built into cPanel that can help you out. It’s easy to forget this, but websites take up real space. For every website that exists, there’s some real server space that correlates to it. These servers are filled with content that is accessible or compiled on the pages of your website. If you find yourself adding a lot of high-quality images, videos, or audio files, you’ll find that you’re going to approach the limits of your disk space. Don’t hit your limits because you could cause your whole site to slow down. You won’t be able to add data when you desperately need to and could end up with a site that’s less than ideal. Even your emails or the log information kept by your website can take up space. Be sure there’s ample room for content by deleting your emails. If you allow users to create directories, make sure they’re not growing out of control. If you’re paying to store someone else’s media files, you need to put an end to that by setting storage limits. The preferences panel will be the place you go to change your passwords. Once you’ve created strong passwords or had them generated, you can use your Preferences for swapping your password out. There’s also a help wizard to get you moving along. The Getting Started Wizard can help you to figure out the basic preferences that will dictate how you use cPanel. If you’re excited about everything that cPanel has to offer, use the video tutorials that are provided. You might be able to get more out of cPanel than you had planned. Inside of cPanel, you can manage settings for subdomains, redirect, and your standard domains. Using this part of cPanel, you can create all kinds of different subdomains. When you see a URL that reads “blog.mainsite.com”, that blog is a subdomain created to organize the website. If you want to redirect people around the web, this is the place to do it. If you were one of those people who bought a URL ahead of time and want to intercept traffic, you do so through redirection. If you invented a product called the fidget spinner in 1992 that was made for cats, you could use “www.fidgetspinner.com” to go to “www.yourproduct.com”. This is a smart way to market online and allows you to get a lot more traffic than you would otherwise. Once you have a URL, you can start creating all kinds of email addresses. If you don’t have an email tool or storage space for them, they can be redirected. However, you can get an easy to remember address like “you@yourname.com” and have it go to your less than elegantly named Yahoo or Gmail account. Mail account settings allow you to create and verify the email addresses that cPanel will contact you by. You can update your contact information in the Preferences pane and the in cPanel Mail, you can change the accounts associated with your domain names. You can add, delete, and forward email from all kinds of different addresses from this setting. You can even filter out spam or unwanted email here. Go back to the Preferences pane and you’ll be able to change your security settings. You can refine your own security policy and change the security questions you want users to answer in order to prove their identity. You can also take a look at any verified IP addresses. Make a note of which IP addresses can be accessed without this layer of security. You can use these IP addresses as part of your site but beware that they might not have quite the level of security that your main IP. If you set up security questions, you’ll be well protected. Make sure you’ve disabled the right functions here. If you don’t need unrouted emails forwarded or FrontPage extensions allowed, you can disable them here. In the box that reads “Software/Services,” you can make your content optimized for browsing. As more people access the web via mobile devices and smaller screens, they need things wrapped in smaller packages. If you compress the content you send, you can make it easier to download and interact with. You can compress all the content on your site or choose to compress only certain kinds of content. If you’ve got all of the beginner work taken care of, you can branch out into more intermediate user territory. If you know the most basic concepts of SQL, you should be comfortable. If not, steer clear. Your database is essential for storing and managing the content that you keep on it. When you need to share something with your audience, you put it on your database. It also keeps records. Your database can tell you how many people accessed your site, when, and where they were from. It can save names and contact information for everyone who enters it too. If you want to know more about this, there are help wizards available. They’ll walk you through either MySQL or PostgreSQL and how they work. IF you want to install any tools that require databases or database access, the wizard can help you figure it out. After you’ve set everything up, you probably want to get a feeling for how your website is performing. If you’ve put countless hours into optimizing your site, you should find out how you’re doing and if the content you’re excited about is being accessed. You can see errors and get the analysis of your site by checking out your logs. There’s a lot going on with cPanel but if you’re learning how to use cPanel, all you have to do is commit to paying attention and letting yourself make mistakes. There are so many options that can help you optimize and protect your site that it’s essential you make your decisions carefully. If you’re struggling to take your site to the next level, contact us for tips.